STATE COLLEGE, PA. The much awaited “Kokipedia” was finally launched in early hours of morning today at a function organized at this knowledge capital of Central Pennsylvania. The new ‘know it all interactive knowledgebase’ derives its name from Latin word ‘Kokos’ meaning Kokonad Sinha and ‘Pedious’ meaning knowledge. The crowd went berserk when the name of knowledgebase was released. People think it could not have come at a much better time. The crowd was upbeat and believes that it may be answer to all the confusion in the world due to Wikipedia and all and this knew knowledgebase may hold answers to all the people’s problems. It’s just a matter of meeting or calling Koke now. As D said, “Koke knows it all” and frankly this has been the general perception for a decade or so now. When questioned about his huge knowledgebase, Kokonad Sinha modestly said, “It’s all due to instruction manuals! !” Koke’s affection towards instruction manuals is a well known fact. He holds the record for reading most number of instruction manuals in a year. Another related record that Koke holds is for assembling maximum number of furniture items in a year. Earlier this year, Koke also raised the issue of making the instruction manuals of APOLLO 11 public. The issue generated lot of public attention and had caused quite a storm in senate. “There was no need for a Beta version, we all agree about the soundness of our knowledgebase” replied the Kokipedia Team when asked about the need of releasing a beta version first. None of us can actually fathom the depths of this knowledgebase as of now but one thing is sure that this day will be remembered as the day when attrition of Wikipedia started. Disclaimer and fine print (MUST READ): The editor of this blog (Kokonad Sinha) has nothing, NOTHING to do with this post. 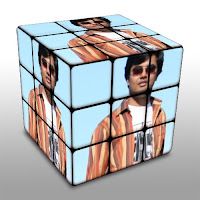 Also, he has nothing to do with the picture of himself used in that obscure rubik’s cube. It was solely the idea of everyone but himself. Gaurav Bhardwaj, the author of The Antisense Strand, is going to attend to all comments on this post. This is what PhD does to people! well we are still working on “Online Ask Koke! !” service. Till then you can meet him and ask your question in person or call 1-800-KOKE. And the inside news from team Kokipedia is that the next project is a Kokipedia On DVD!! bechara koke! mera bachha hai woh, chhord do usko..
hamne kiya hi kya hain aapke bacchhe ke saath!!! out with wiki, in with koki! and just to set the record straight the ‘disclaimer n fine print’ section is true. Although we did use koke’s laptop to design the logo.hmmm. Guys! It’s Kokipedia. Not Kokepedia… am I right? All credit goes to gaurav for the name!! PS: but yeah its KOKIPEDIA!! Yeah.. We should soon launch KOKIHOW to drive Wiki totally out of business! Thanks people for this welcome response. It is a good motivation for our further projects!! are u ppl lookin for sponsors for this mammoth project? ?